The Golden Globes was a glittering affair celebrating the best of TV and film – but it was a teaser lasting mere seconds which stole the show for many Game of Thrones fans. Between the successes of the likes of Sandra Oh and Rami Malek, a glimpse of the eagerly-awaited season eight of the fantasy epic based on George R. R. Martin’s book franchise could be seen flashing by, quick as the flap of a dragon’s wing. We saw an exchange between Sansa, who we left planning for a long winter in the North, and the man for whom she’d been acting as regent – none other than Jon Snow (or Aegon Targaryen) accompanied by one-time bed mate and aunt, Daenerys Targaryen. No sign of the Night King or his zombie-Viserion pet, however. 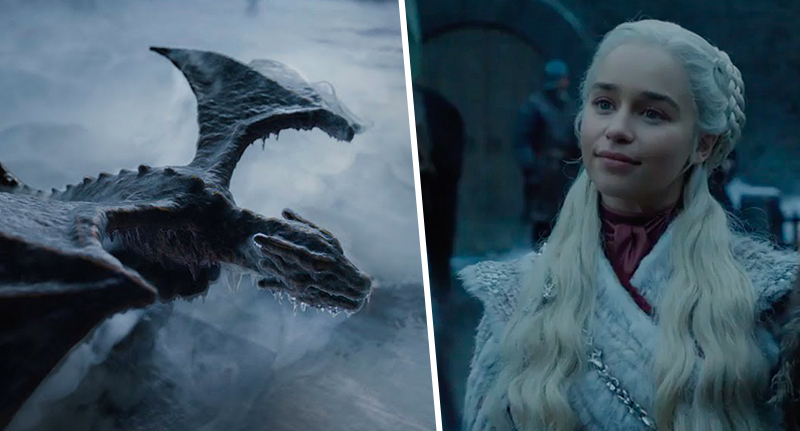 As if the little taste of what is yet to come wasn’t enough to whet your appetite for blood and fire, the rumour mill has been turning and tongues have been wagging enough to promise patient viewers an ‘extraordinary treat’ in season eight. Although the network had a disappointing night at the Golden Globes – the only win came for Patricia Clarkson for Sharp Objects – the HBO chief, Richard Plepler was in a celebratory mood, apparently. He spoke about Game of Thrones season eight with Variety at the after party, remaining somewhat elusive but promising ‘magic’. It’s a spectacle. The guys have done six movies. The reaction I had while watching them was, ‘I’m watching a movie’. Plepler also enthused about Game of Thrones showrunners, David Benioff and D.B. Weiss, who he claims have managed to exceed his expectation in the execution of the final six episodes. The final season will see every battle, betrayal and bloody sacrifice come to a climax in the fight for the Iron Throne – the least comfy looking chair in all of fictional history – which will presumably be decided in the Great War, if there’s anything left of Westeros or Essos or anyone left on Arya’s kill list. They knew the bar was high. They’ve exceeded the bar. I’ve watched them twice without any CGI and I’m in awe. Everybody’s in for an extraordinary treat of storytelling and of magical, magical production. The final six-part series of Game of Thrones will air on HBO in April 2019 in the US and Sky Atlantic and Now TV in the UK. Season seven is now available to buy on DVD, Blu-ray or digital download, and in the meantime, we await the full-length official trailer eagerly. Bring on the fire and blood.